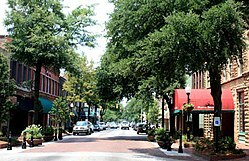 Sumter /ˈsʌmtər/ is a city in and the county seat of Sumter County, South Carolina, United States. The population was 39,643 at the 2000 census, and it rose to 40,524 at the 2010 census. This page was last changed on 21 February 2019, at 18:32.